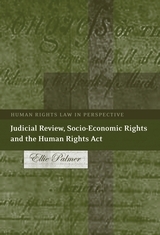 Building on a series of ESRC funded seminars, this edited collection of expert papers by academics and practitioners is concerned with access to civil and administrative justice in constitutional democracies, where, for the past decade governments have reassessed their priorities for funding legal services: embracing 'new technologies' that reconfigure the delivery and very concept of legal services; cutting legal aid budgets; and introducing putative cost-cutting measures for the administration of courts, tribunals and established systems for the delivery of legal advice and assistance. 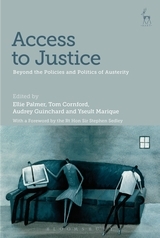 Without underplaying the future potential of technological innovation, or the need for a fair and rational system for the prioritisation and funding of legal services, the book questions whether the absolutist approach to the dictates of austerity and the promise of new technologies that have driven the Coalition Government's policy, can be squared with obligations to protect the fundamental right of access to justice, in the unwritten constitution of the United Kingdom. 10. 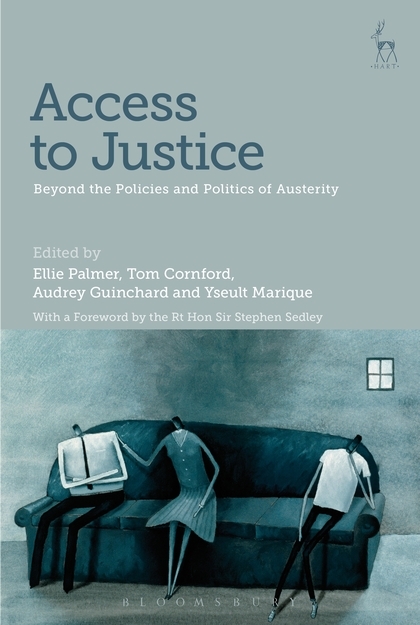 Access to Justice in the Employment Tribunal: Private Disputes or Public Concerns? Ellie Palmer is an Emeritus Professor in the School of Law/Human Rights Centre at the University of Essex'. Tom Cornford is a Senior Lecturer in Law at the University of Essex. Yseult Marique is a Senior Lecturer in Law at the University of Essex. Audrey Guinchard is a Senior Lecturer in Law at the University of Essex.